FUNimation Entertainment announced the English dub cast for One Piece Film Gold on Thursday. The company also began streaming an English-dubbed trailer. Funimation will release the film in theaters in the United States and Canada from January 10-17. Funimation ‘s official website for film lists that the film will be “presented in English Dub .” The website doesn’t mention English-subtitled screenings. The Straw Hat pirates are hitting the big screen once again in an all-new high-flying adventure! 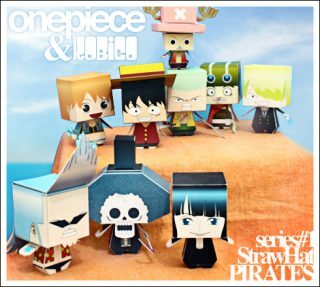 The popular series that has captivated fans all over the world unfolds a new saga in the highly anticipated movie, One Piece Film Gold .The glittering Gran Tesoro, a city of entertainment beyond the laws of the government, is a sanctuary for the world’s most infamous pirates, Marines, and filthy rich millionaires. Drawn by dreams of hitting the jackpot, Captain Luffy and his crew sail straight for the gold. But behind the gilded curtains lies a powerful king whose deep pockets and deeper ambitions spell disaster for the Straw Hats and the New World alike. 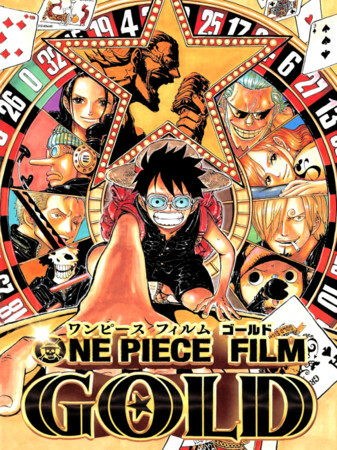 One Piece Film Gold opened in Japan on July 23. As of September 8, the film had earned 5,007,520,000 yen (about US$48.8 million) at the Japanese box office. The film earned 69,630,000 yuan (about US$10.1 million) at the Chinese box office in its first three days. The anime film opened in China on November 11. These box office earnings are the most any Japanese film has grossed in its first three days in China in 2016. Original manga creator Eiichiro Oda served as the film’s executive producer and was credited with the original work. 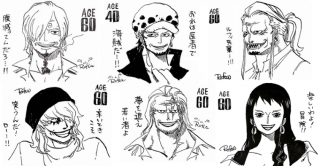 Oda also served as the executive producer for the previous film in the franchise , One Piece Film Z . Additionally, Oda designed the various new costumes for the Straw Hat crew for the film, drew the rough drafts for the new characters, and also drew the film’s first visual (pictured on the right). Hiroaki Miyamoto ( One Piece episodes 352-679, assistant director for One Piece: Baron Omatsuri and the Secret Island ) directed the film, and Tsutomu Kuroiwa (live-action Black Butler film, live-action Liar Game: The Final Stage film, live-action The Perfect Insider TV series) wrote the script. Masayuki Sato designed the characters for animation, and also served as chief animation director. Kazuo Ogura was the art director, while Nobuhito Sue was credited for art setting. Animations, Cosplay, Movie, News, One Piece, What's New?